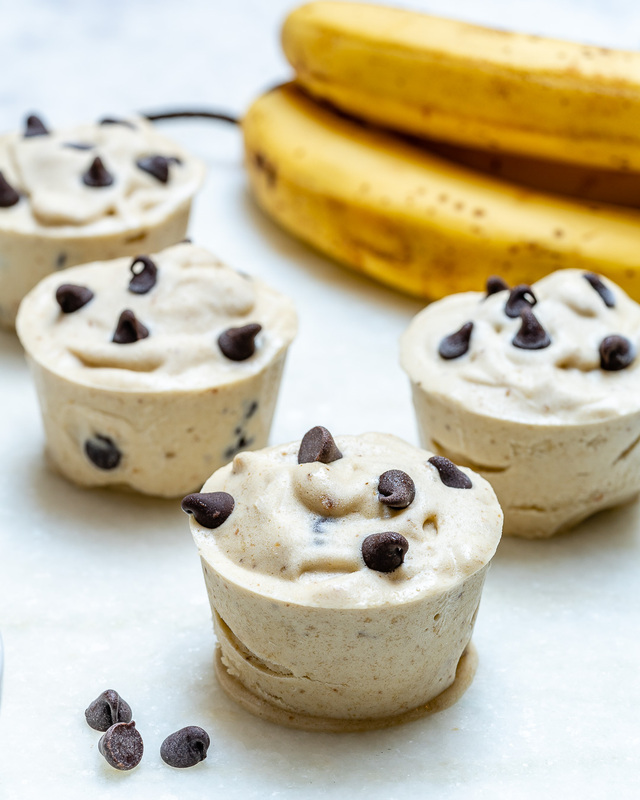 Healthy Chocolate Chip Banana “Ice Cream” Cups for Summertime Fun! Line a baking sheet with parchment paper. 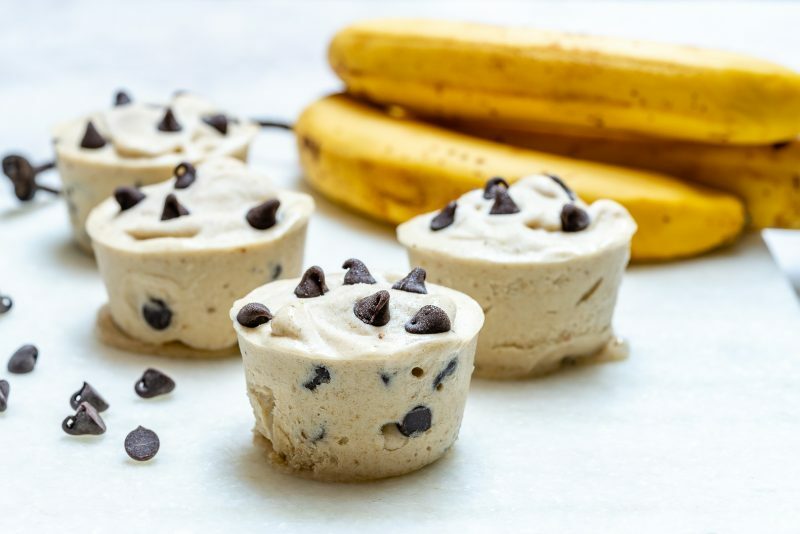 Slice the bananas and arrange them in one single layer on the prepared baking sheet. Freeze for about 2 hours. 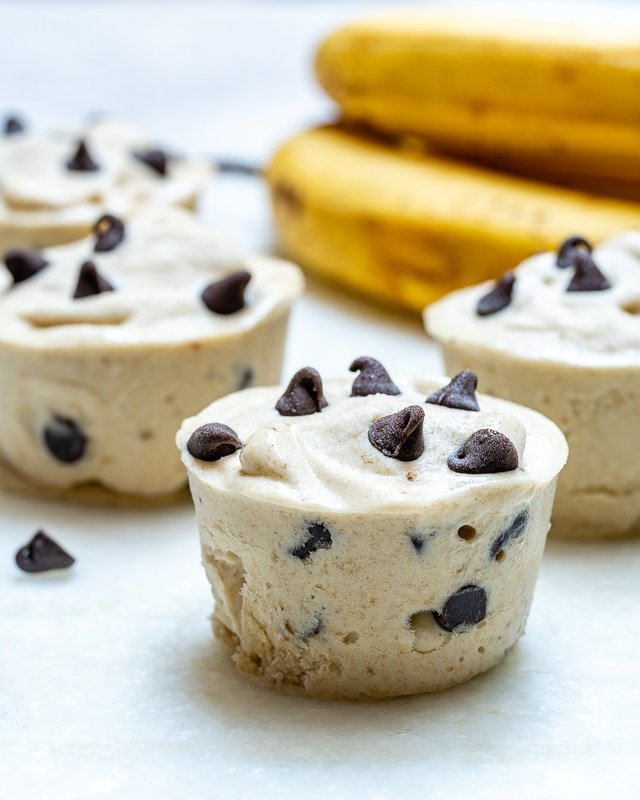 Place the frozen bananas and vanilla extract in your food processor and blend until smooth and creamy. Remove blade. 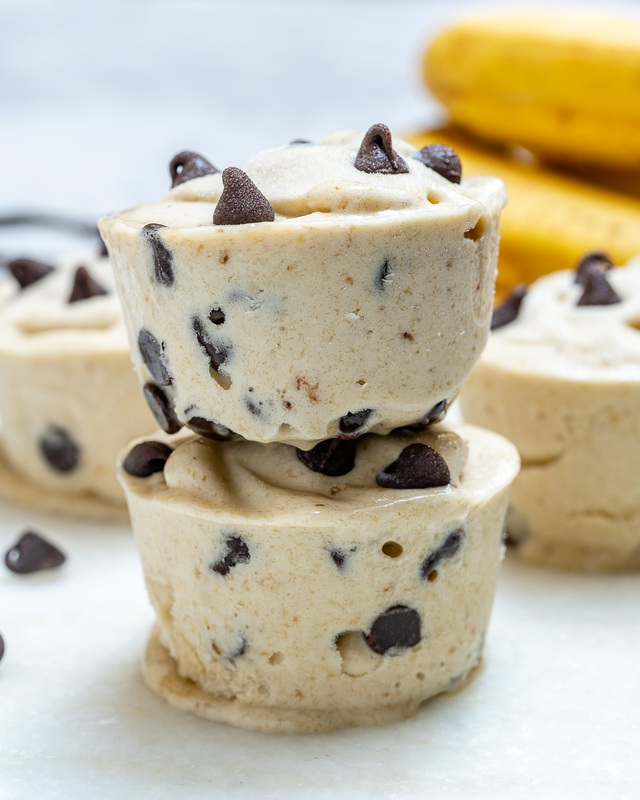 Use a muffin silicone mold and scoop the banana “ice cream” into each cup, then sprinkle some chocolate chips over the top. Freeze for 1-2 hours. Let the cups at room temp for about 3 minutes before eating. Enjoy! 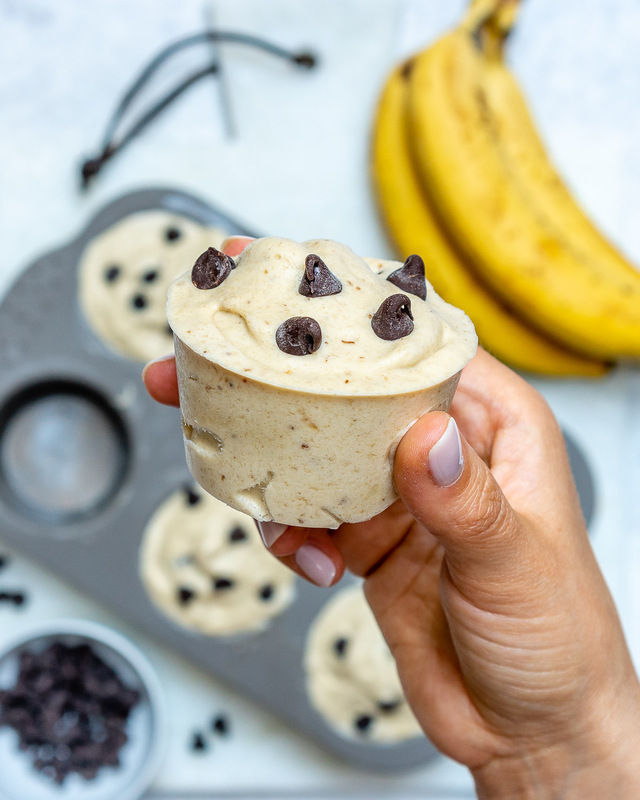 Use a muffin silicone mold and scoop the banana "ice cream" into each cup, then sprinkle some chocolate chips over the top. Freeze for 1-2 hours.